Patients in the United States are likely to face growing challenges in access to care if shifting patterns in medical practice configurations and physician workforce trends continue. This is one of the primary findings of an important new survey of over 20,000 physicians. According to the research, 81 percent of physicians describe themselves as either over-extended or at full capacity, while only 19 percent indicate they have time to see more patients. 44 percent of physicians surveyed plan to take steps that would reduce patient access to their services, including cutting back on patients seen, retiring, working part-time, closing their practice to new patients or seeking non-clinical jobs, leading to the potential loss of tens of thousands of full-time-equivalents (FTEs). As the ranks of Medicare and Medicaid patients increase – in 2011, more than 75 million baby boomers began turning 65 and qualifying for Medicare – and millions of new patients are insured through the Affordable Care Act, patient access to care could pose significant health delivery and policy challenges, as well as a drop in people trying to find physician jobs. America’s physician workforce is undergoing extreme changes; doctors are younger, more are working in employed practice settings and even more are leaving private practice. 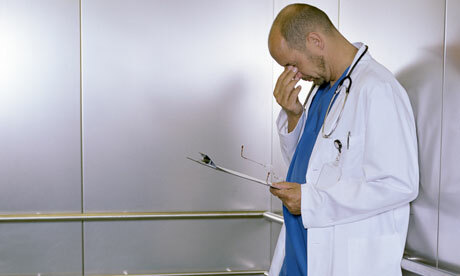 This new generation of physicians report having less capacity to take on additional patients. These trends carry significant implications for patient access to care. With more physicians retiring and an increasing number of physicians, particularly younger doctors, planning to switch in whole or in part to concierge medicine, we could see a limiting effect on physician supply and, ultimately, on the ability of the U.S. healthcare system to properly care for millions of new patients. The survey, conducted online from March 2014 through June 2014 is based on responses from 20,088 physicians across the U.S. The overall margin of error (MOE) for the entire survey is less than two percent, indicating a very low sampling error for a survey designed to draw opinions and perspectives from a large population.